Today’s the day and here in Montreal, Canada we couldn’t have had a nicer day…positively spring like! This week I’ve been looking after my grandson Justin Kwame whose on his spring break. Today we went to Westmount where I spent much of my youth. We visited the greenhouse in Westmount Park. Ya see,Justine Kwame wants “to be a farmer in the Arctic!” Anything is possible I tell him,so let’s look at this greenhouse. “You’re going to need a lot of great greenhouses if ya want to make a profit.” “What’s a profit?” he asks….and on goes the conversation under the banana fronds in the Westmount greenhouse. From there we go to the wonderful Westmount Library where yours truly spent many an after school hour studying. Of course, we went to the children’s section of the library. And there was a collection of books celebrating women from around the world under a sign reading INTERNATIONAL WOMEN’S DAY. I picked out a picture book seeing that it wouldn’t be too long to read. 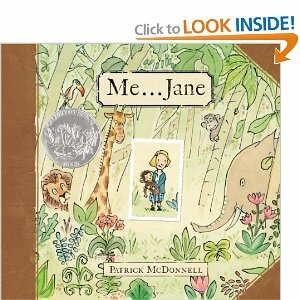 We started reading and it took, slow me, a minute to discover the book was about Jane Goodall, the famous zoologist who observed that chimps use tools thus upsetting all the preconceived notions about the animal kingdom. Apparently, Jane, like my grandson Justin Kwame, had a dream that most, at the time, thought was impossible for a woman. But she realised her dream of living and observing nature in Africa…so why not Justin Kwame. You read it here! This brought to mind Dr. Aggrey of Ghana’s Achimota School who said, “Educate a man and you educate an individual; educate a woman and you educate a nation.